Donations will go towards educational expenses for post high school students including trade school, undergraduate and graduate students. Your support is appreciated! Donations will allow us to provide funding necessary to perpetuate support for educational expenses of our members in line with our SNF mission statement. The Serb National Federation has proudly supported our community's youth for many years by providing scholarships. 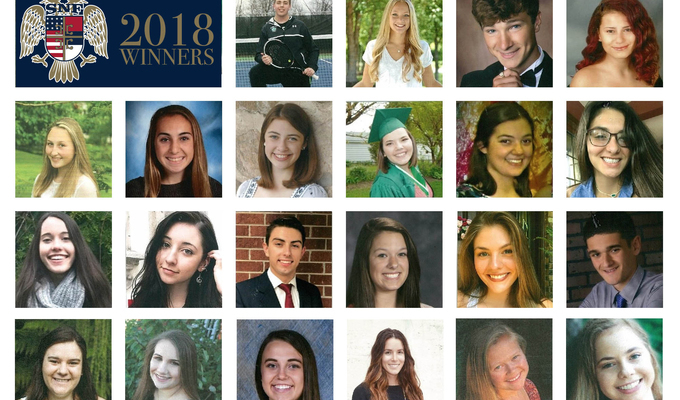 In 2018 alone, the SNF gave over $25,000 in scholarship monies to over 20 students. This year, we believe that with your support, we can do much more! We currently offer the following: 15 SNF Scholarships awarded to post high school students 7 Named Scholarships (Ann Berich Maigetter, John Radovick, +Gustav & Milana Karlo Bizic, Ann Davis & Sally Davis Memorial) awarded to post high school students/undergraduate and graduate students Krajina Scholarship courtesy of International Christian Ministries awarded to SNF members and non-members - winners will receive $500 cash and a membership to the SNF with an annuity of $500! If you are interested in establishing a named scholarship in the name of your family or loved one, please contact President John Martich directly at the SNF Home Office at 412-458-5227. "One of the best programs of the SNF. The commitment to the education of our Serbian Youth is an important one." "Peter Mulin, my husband received a scholarship for college when he was attending college. He greatly appreciated the funds from the SNF Scholarship Program. Remembering the youth of today." "Such a wonderful fundraising campaign for deserving students!"